Ideal for outside use this hard top cover protects containers from UV damage and stops rain water and dirt from contaminating the drums and sump. 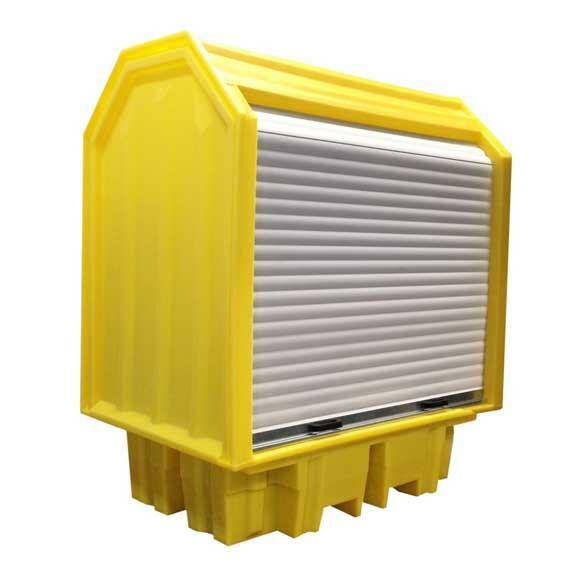 Manufactured from polyethylene for broad chemical compatibility this unit has a lockable roller-top door to prevent unauthorised access and integral base fork pockets to aid transportation. Will hold 2 x 205ltr drums or smaller containers and comes assembled and ready to use.